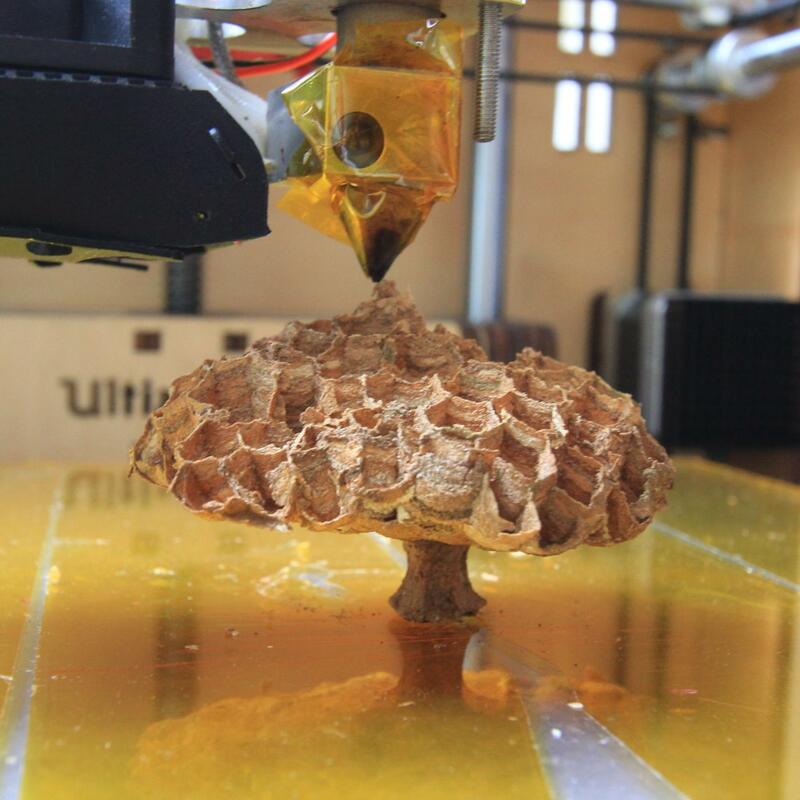 3D printer improvements: Major wood FDM printing breakthrough ! No need for a hot bed, no issue with massive overhangs, no stringing at all, no retraction, grinding nor feeding issues, not even noise, smell nor chemicals. Free and easy sourcing of material, highly portable, robust, self-powered and auto-adapting printing system. 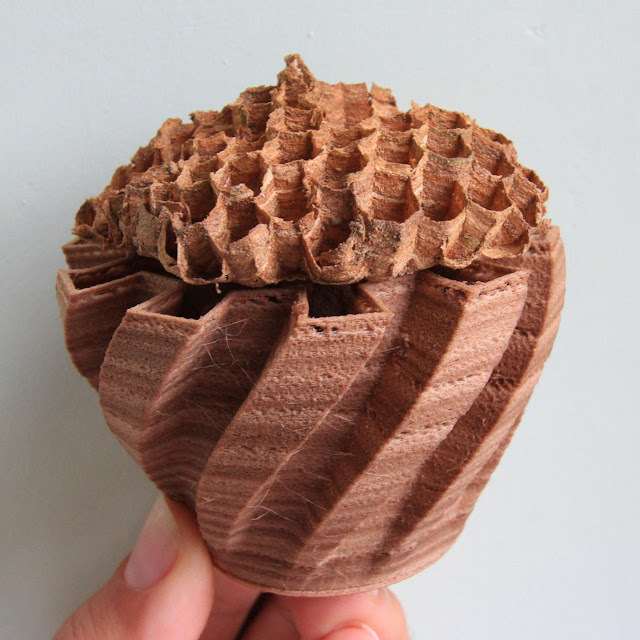 And damn, they even master wood gradients and polygonal infill! Now, on the downside: it comes without a user manual and the system is incompatible with g-code. And sometimes, it stings. I am a plant grower in Florida and interested in matching up natural looking 3D printed objects (ex:cork tree branches, cholla cactus skeleton pieces) and market plants and printed objects together. A thought would be to suggest and sell an object and a plant that would arrive together in the mail. The buyer could also customize these objects and select different plants from a list. The website would show these creations and customizations. I am thinking air plants, epiphytes and succulents for ease of shipping and a higher satisfaction rate. any interest in designing or developing part of this? I think this is a good "real world" use of 3d printing and of this material particularly. Though if you expect organic shapes, I may not be the best designer out there since I mostly create technical stuff for now with OpenScad which is not well suited to curved shapes... Anyhow, feel free to mail me at gmail (jeremie dot francois)! Thanks you. I will keep looking and if your capabilities and interest expand, contact me. Thanks for showing me the possibilities of printing wood.